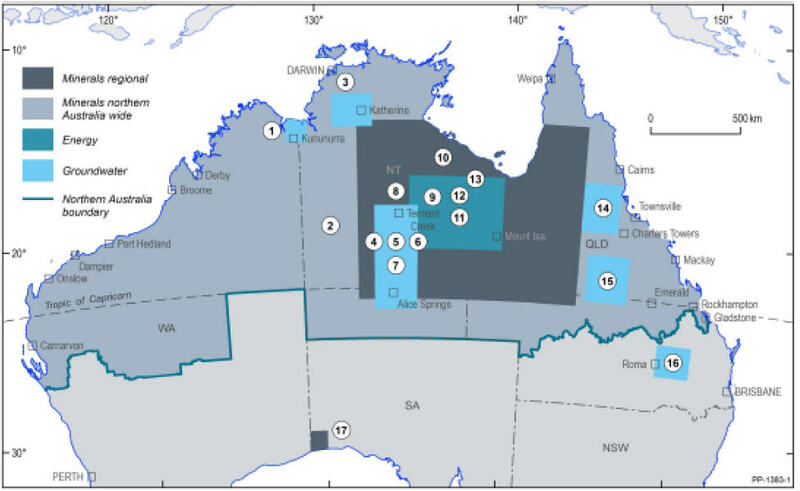 As part of a wider Australian Government initiative to boost economic development in northern Australia, Geoscience Australia (GA) is leading the Exploring for the Future program in collaboration with State and Territory partners such as the Northern Territory Geological Survey to acquire data and build our knowledge of mineral, energy, and groundwater resources across the NT. The information collected from these surveys will be publicly available via the GA website. Further information about Exploring for the Future can be found at www.ga.gov.au/ettf and enquiries can be made to eftf@ga.gov.au or 1800870 833 (Mon-Fri, 9am to 5pm AEST). An overview of current Exploring for the Future activities.